Superb Japanese course meal featuring conger eel and ayu fish. 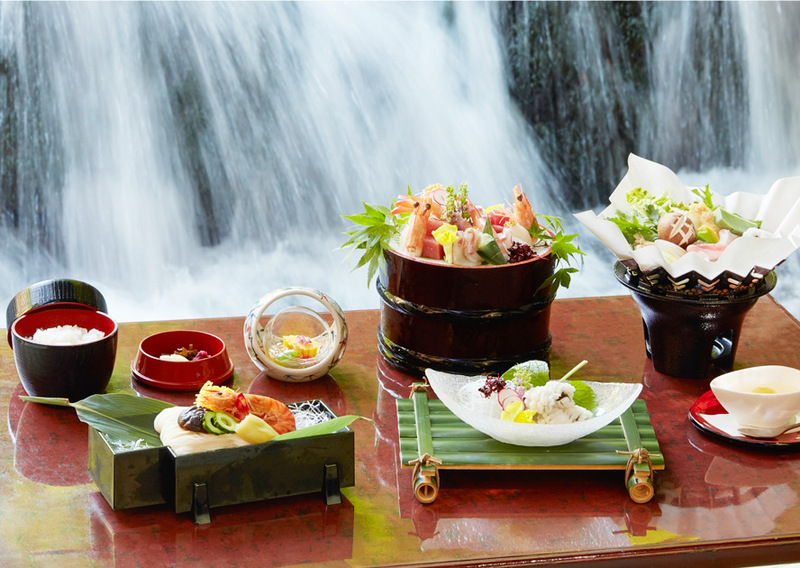 Enjoy the “wow factor” of the beautiful and exquisite cuisine served atop the elegant river floor. 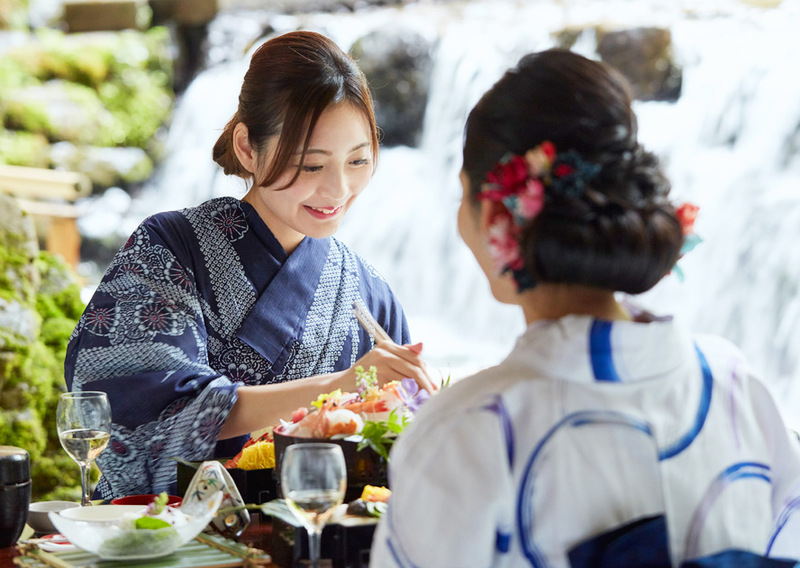 Japanese course dinner at Kawadoko with yukata included―a great value plan. Take a walk after dinner and enjoy the summer of Kyoto. 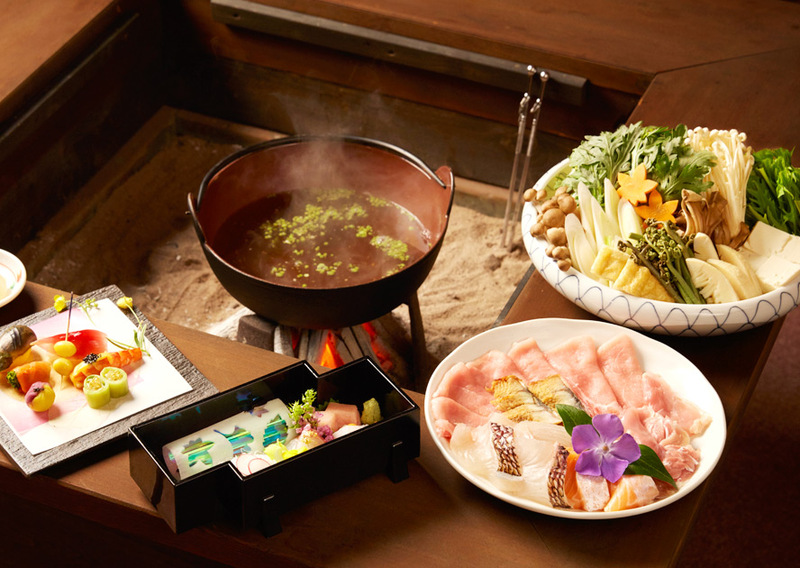 In winter, we serve hot pot and “Obanzai” (light Kyoto-style home cooking served with boiled vegetables and marinated food) to warm up your spirit. We provide nutritious dishes such as boar and soy milk.